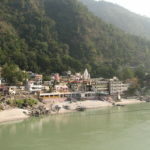 Rishikesh has emerged as one of the most popular destinations with tourists from all over the world. This beautiful place in the state of Uttarakhand, India is the land of yoga and meditation, alongside a variety of adventure sports and camping. While for many, it is a place where they can find their spiritual self and peace of mind, for several others this is where they can face and overcome their fear of height and water. Of late, Rishikesh is the destination of choice for all those tourists who want to indulge in some white water rafting, riverside camping and even extreme sports such as bungee jumping. With food that is sumptuous as well as sights that soothe the mind, Rishikesh is the best place to escape to during holidays. This is not a group tour package. This is private guided tour for 2 people to the group of 100 or more. Dedicated car or bus will be provided as per no of people participating in tour. Advance booking is required for better service. Guide or driver will meet you at your hotel in Rishikesh & after tour he will drop you at the same place. (Pick up or drop from out side Rishikesh will be provided with nominal extra charges. Geeta Bhawan: This is the oldest temple complex in the area, with walls bearing inscriptions from the Ramayana and the Mahabharata. The complex consists of discourse and meditation halls, as well as rooms for devotees to stay in. The Ayurvedic department here is involved in preparing medicines using Himalayan herbs and Ganga water. Nilkanth Mahadeo Temple: Dedicated to Lord Shiva, the temple is one of the most important sites in town. According to a legend, this is the place where Lord Shiva drank the poison, which was formed as a result of the churning of the seas. This poison turned Lord Shiva’s throat blue, thus rendering him the name Nilkanth. Housed in the main sanctum is a large stone linga, the top of which is only visible above the ground. At 5000 ft, the temple provides panoramic views of the surrounding region. Lakshman Jhula: A landmark in the town, it is a suspension bridge across the Ganga. According to a legend the bridge was built of jute ropes by Lakshman, hence the name Lakshman Jhula. Enjoy spectacular views of the holy river that flows beneath it as well as the striking mountains which lie in the backdrop. A favorite pastime for tourists visiting Lakshman Jhula is feeding the fish in the river. Bharat Temple: The temple holds the distinction of being the oldest temple in Rishikesh built in the 12th century. 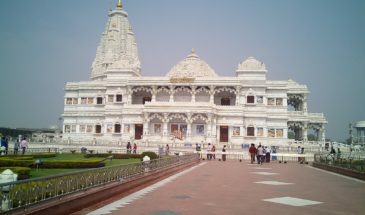 The temple has an idol of Lord Vishnu which is believed to be carved out of a single divine stone of Mahavishnu. Triveni Ghat: This is the main bathing ghat in Rishikesh, forever busy with thousands of devotees taking a dip early morning. The ghat derives its name from the belief that that the three rivers Ganga, Yamuna and Saraswati meet here. The ghat is especially busy in the evenings when the aarti is conducted. The air turns especially sacred when priests offer their prayers and chant mantras to the river. After the aarti, the river gives out a spectacular view as thousands of earthen lamps are set afloat on the river. 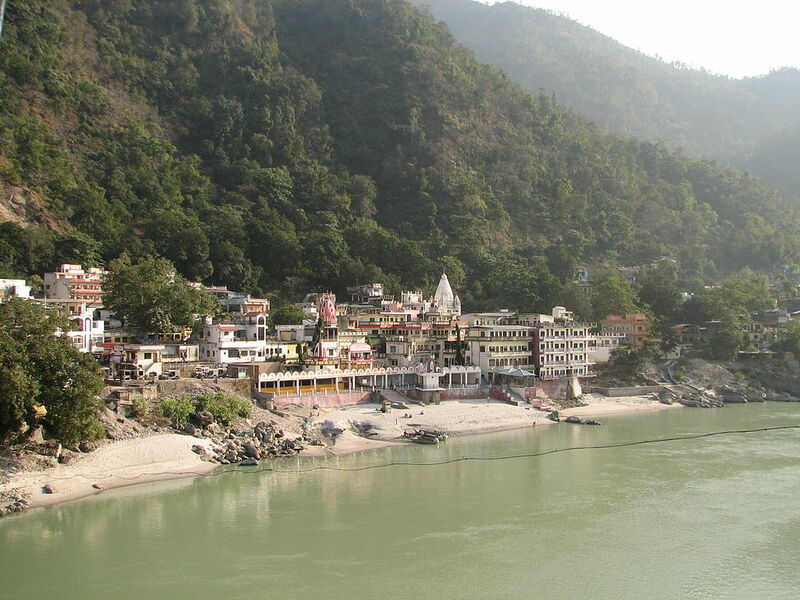 Rishikund: Located near the Triveni Ghat, the place is flocked by devotees all the year round, who come here for a dip. The reservoir here is believed to be fed by Goddess Yamuna. 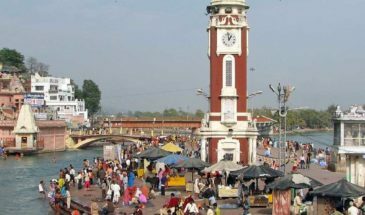 Meet & greet by our Tour Guide at Dehradun Airport or Haridwar Station and then proceed to the Rishikesh & check into the Hotel later proceed to visit Bharat Temple and Triveni Ghat with evening ceremony Ganga Arti and overnight stay at the hotel at Rishikesh. 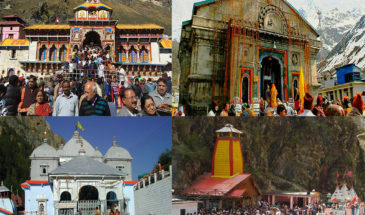 Attractions Cover Bharat Temple, Triveni Ghat, Evening ceremony Ganga Arti. Early morning around 5 am proceed to Kunjapuri Temple to visit Sunrise with beautiful Himalayan Views and enjoy one dropping yoga class amidst the Himalayan mountain later have Breakfast and start your short Day trek of 14 Kms down via Waterfall then reach hotel and relax then proceed to the Rishikesh Sightseeing with Shivananda Ashram, Laxman Jhula, Ram Jhula & Ganga Arti have dinner outside and overnight stay at hotel. Attractions Cover: Kunjapuri Temple, Sunrise, Dropping Yoga Class, Neer Waterfall, Shivananda Ashram, Laxman Jhula, 17th Storey Temple, Ram Jhula, Ganga Arti. After breakfast check out the hotel and drop at Haridwar station or Dehradun Airport then tour terminate.